Ratesetter is the brand name of one of the top 3 UK p2p lending marketplaces. Unfortunately only UK investors can invest on Ratesetter UK, otherwise I would have tried it out. Ratesetter is also the brandname of Ratesetter Australia. While not rund by the same company this Australian p2p lending marketplace uses the same technology base and is offering similar products, consumer loans of up to 5 years. Since launching in 2014 Ratesetter Australia has originated more than 325 million AUD in loan. The site does not feature it, but actually Ratesetter is open to non-resident investors. I recently found this out and went ahead and opened I account in the past week. The signup process for non-residents is not as straightforward as on other marketplaces. I post a detailed description of how I did it below. But why send money that far away? Because rates are attractive. Interest rates are currently up to 9.3% (compare that to around 6% that is achieveable for 5 year investments on Ratesetter UK). And that rate is AFTER fees. A further important feature is the provision fund. That is capital stored that is used to reimburse lenders of defaulted loans. While that is no insurance or guarantee, it is in my view a much stronger portection than the ‘buyback guarantee’ that some other market places promise. There is currently 10.6 million AUD in the Ratesetter Australia provision fund. And since 2014 the provision fund has paid for every default without exception. Only investors that want to invest a larger amount for a long duration should consider this. Otherwise it is not worth the effort in my opinion. As the process is more effort than usual, I suggest you read the complete remainder of the article and decide if it is for you, instead of just diving into the registration process. Yes, you saw that right. After clicking Register, you STOP and do NOT proceed with the signup on the website as it can only handle Australian residents. After a few minutes I got an automated email asking me to complete my registration. I did NOT click on the link provided in the email, but rather send a reply email, stating that I am a German resident and would like to invest on Ratesetter and that I have an Australian bank account. I asked that they would please guide me through the process. WTF? Sounds much more prohibiting than it actually is. I had a Transferwise account already and with a few clicks could open a free Transferwise borderless account in Australian dollar which comes complete with account number and BSB code (routing code). If you don’t have Transferwise you can open it for free, only plan a little time for verification. The Australian Transferwise account later serves as reference bank account which is entered into the form in step 5. Converting EUR in AUD costs 0.35% at Transferwise (how I saved that fees is written below). 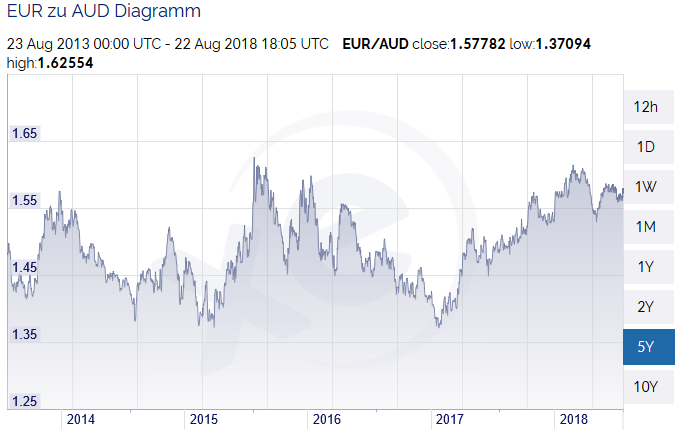 The current fee for later changing back AUD to EUR is 0.45%. Meanwhile I got the reply from Ratesetter support. They are super helpful, but time zone difference means every back and forth takes a day. Ratesetter sent me a link of a web form to complete. I did that (entered ‘-‘ for SWIFT) and told them so via email, which I attached the requested certified document copies to. One day later I got the confirmation that my registration was completed and I was ready to go. I could save the 0.35% Transferwise currency exchange fee for EUR > AUD by using a free Revolut account and exchanging between Monday and Friday EUR to AUD fee free. Then transfer the AUD either to the Transferwise AUD account or directly as a Ratesetter deposit payment. I just started. I intend to lend for the 5 year market and experiment with setting my own desired rates slightly above market rate. Watch out for an update here on the blog after I have several month of experience or – probably more frequently on the dedicated thread on the German discussion forum. *$75 AUD Cashback Bonus for the first 5 investors, that register thought the given link before 16.09.2018 and at least $2000 AUD on the 3 or 5 year market. Precise terms and conditions on the Ratesetter site. To qualify I think swift action will be needed, given that the registration, deposit and lending will take some time. Ratesetter announced it will launch the IFISA product offer tomorrow. The Ratesetter ISA will initially be available to existing customers, then to new customers on 1 March and to inward transfers from other ISAs in April. Average interest rates are 3% to 6% p.a. depending on level of access. 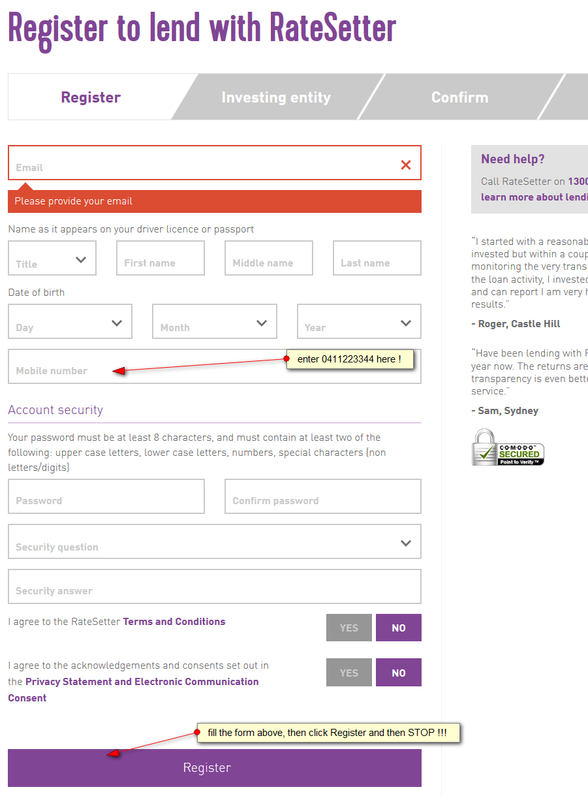 Ratesetter says it takes less than five minutes to open a Ratesetter account online. All investors are automatically covered by Ratesetter’s Provision Fund which manages and diversifies risk, meaning investors do not need to choose specific loans. The Provision Fund has ensured that, to date, every individual Ratesetter investor has received their capital and interest in full. Lending on Ratesetter is an investment and capital is at risk. The Ratesetter ISA is a flexible ISA. Investors can withdraw money and replace it later in the same tax year without losing their tax-free allowance. ‘RateSetter’s purpose is to give people the opportunity to earn more on their money. Our ISA makes that opportunity even more compelling because investing is now tax-free. Cash ISA savers are frustrated with low interest rates, while inflation is always nibbling away at their money. Stocks & Shares ISA investors have enjoyed good returns recently but may be nervous of market falls, as demonstrated in the last few days. Lending is a third asset class in the middle, offering the potential for higher returns than cash without the volatility of shares. For more Innovative Finance ISA products see the large P2P-Banking IFISA comparison table. Peer-to-peer lending platform RateSetter has published its 2015-16 accounts, showing that it increased revenues from 12.6M to 18.5M GBP over the year. The company made a pre-tax loss of 4.9M GBP, compared to a pre-tax profit of 476K GBP for the preceding year. The company’s results are in line with expectations set out at the start of the year and reflect the decision to charge more fees over the lifetime of loans rather than upfront and a planned increase in investment back into the business. Loans under management increased by 70 per cent, from 341M GBP on 31 March 2015, to 581M a year later, while the number of active investors grew from 18,608 to 31,036 over the same period. Today these figures stand at 640M GBP and 36,310 respectively – with a 70 per cent increase in new active investors in the period since the EU referendum compared to the same three months last year. RateSetter made a profit for the years ending 31 March 2014 and 2015. RateSetter has improved customers’ access to their money by removing all early exit fees from its monthly investment market. This means that RateSetter’s 33,000 investors can now benefit from great rates of return combined with easy access to their money. RateSetter’s monthly market has proven very popular with investors, delivering an average rate of 3.1% p.a. over the last five years. The latest rate can be found here. As with all marketplace lending, the speed of access to money is dependent on liquidity. RateSetter has managed market liquidity for over five years, the result being that no investor has ever had to wait to withdraw their money from RateSetter. Early withdrawal fees remain in place for RateSetter’s one year, three year and five year investments. More information can be found here. RateSetter is looking at options to simplify the way fees are calculated to provide greater certainty to investors. CommuterClub is a promising startup currently running a pitch to raise their 2nd round from the crowd. I really like their business model and have invested in both rounds. What is Commuter Club about? CommuterClub delivers a new and innovative way to access public transport as a subscription service. By bringing together a low cost loan with the existing annual ticket, CommuterClub can deliver the savings of an annual, in a far more convenient and attractive package as a monthly payment plan. Our goal is to continue to bring new innovative products for commuters, delivering value for money and ease of use. I really like the fact that your business model builds on long customer relationships. What do you do to achieve high customer satisfaction? CommuterClub operates in a sector dominated by large slow moving monopolies who manage public transportation. Our proposition is to offer an alternative approach to commuters that begins with their needs. Our focus on a simple customer journey, great customer service and a simple product all deliver a fantastic outcome for consumers. This is key in ensuring high customer satisfaction and providing a real alternative to the existing ticketing options. The audience of this blog is highly interested in p2p lending. Can you please explain how your company ties into this industry and what role Ratesetter and potentially Zopa play for your financing? CommuterClub works with RateSetter to fund all loans. As a business P2P was the key building block enabling us to deliver a low cost and flexible product to consumers, something that we would have found exceedingly difficult if we worked with incumbent banks. We expect to continue to work with p2p going forward and to maintain our close relationship with RateSetter. The timing of this round is a bit of a surprise to me since you indicated to shareholders recently ‘at our current trajectory we expect to be [able to] sustain growth from retained earnings’. Why did you decide to raise further capital now? CommuterClub has made tremendous progress in diversifying the business expanding nationally in the UK, launching a B2B solution and also looking to cover other verticals like parking. This expansion of our product set has also expanded our target market and we are now raising capital to fund our continued expansion and growth. Name one fact that makes your pitch a better investment than any other pitch on Seedrs. Real, proven traction backed by millions in loans and thousands of happy customers. P2P-Banking.com thanks Petko Plachkov for the interview. Ratesetter informed its investors that it will update the legal structure of the provision fund by changing it from a trust to a limited company. 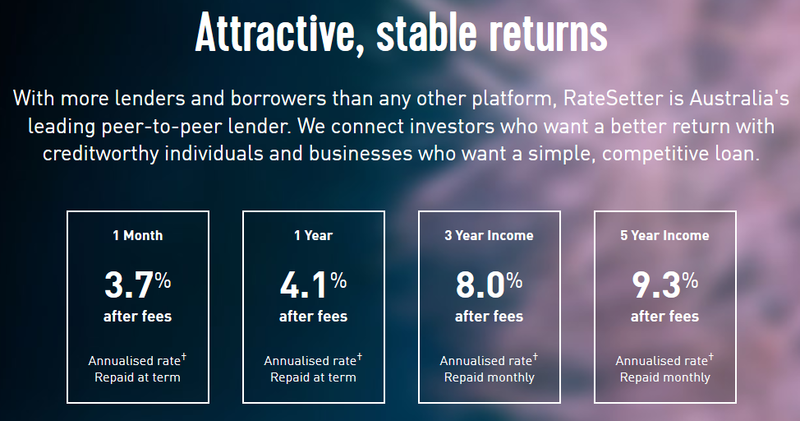 Ratesetter was the first UK p2p lending marketplace to introduce a fund to protect investors against defaults (up to the amount available in the fund). So far no retail investor has lost a penny on Ratesetter since the launch in 2010. Currently your money is re-invested at the higher of “Your Rate” (i.e. the rate you have specified) or “Market Rate” (i.e. the rate that is worked out daily at RateSetter looking at the whole market). Once re-set to Market Rate it stays at that rate which resulted in some scenarios where your money could be sitting at Market Rate unmatched when in actual fact your specified rate was lower. From 24th June, your money will simply be put on the market to be re-invested at your specified rate. Simple as that. It is worth saying that if the highest borrower bid at the time of your re-investment is higher than your specified rate, your money will be matched at that rate. So, we hope that you can now use the “Your Rate” functionality to better control the rate at which you re-invest. One way of looking at it is that is like a floor – you will get at least your rate, or the best borrower bid if that is higher. There has been some discussion among investors what this means and what actually changes for investors. The way I interpret it (but I am not even a Ratesetter investor) is that the market rate will become less important as Ratesetter could advice the borrower at what rate his loan request would match instantly. Since many investors will not micro-manage their set rate and only login occasionally it will lead to a broader distribution of interest rates set as ‘Your Rate’ and thereby reduce volatility. E.g. should interest rates move upward on the market (for whatever reason), unchanged ‘Your Rates’ at lower levels from earlier times will delay and slow the rise (provided they have unused cash from repayments in their accounts). But let’s hear opinion of actual Ratesetter investors in the comments, please!